The olloclip is a unique quick-connect lens solution for the iPhone 5/4S/4. It features three (3) lenses — fisheye, wide-angle and macro — in one small, convenient package that fits easily in a pocket and in the palm of the hand. The olloclip connects to the iPhone in seconds, allowing the user to instantly and easily capture photographic images and use various photographic effects. 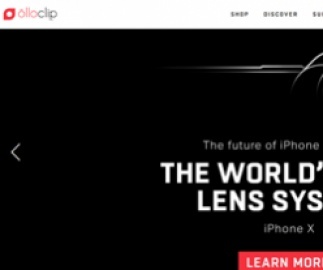 Click a Coupon or click Start Shopping to earn 8% Cash Back at olloclip.